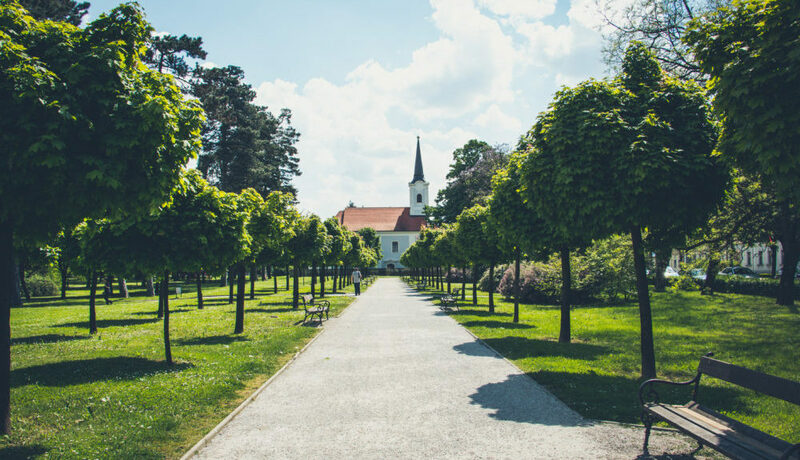 Too often, people assume that the church can play no role in the upcoming elections. But the reality is, there is a lot your church can do to encourage and equip members to be informed voters. 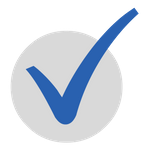 For example, churches can share issues-based voter guides that are 501(c)(3) compliant, help members register, and even encourage members to vote, right from the pulpit. Nebraska Family Alliance has produced an awesome online resource at NebraskaVoterGuide.com. The guide is “church friendly” and issues based. 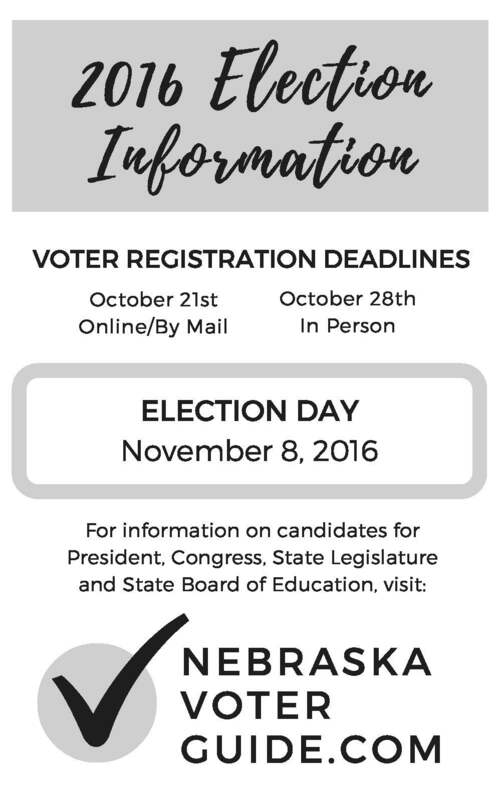 It’s easy to use, address-dependent and has information on candidates for President, Congress, Legislature and State Board of Education. Download this 8″ X 5″ bulletin insert or download this PDF that’s ready to print, two inserts per page. If you’d like to just add a bullet point inside the bulletin, here’s a one-sentence summary: Want to learn more about where the candidates stand on the issues? 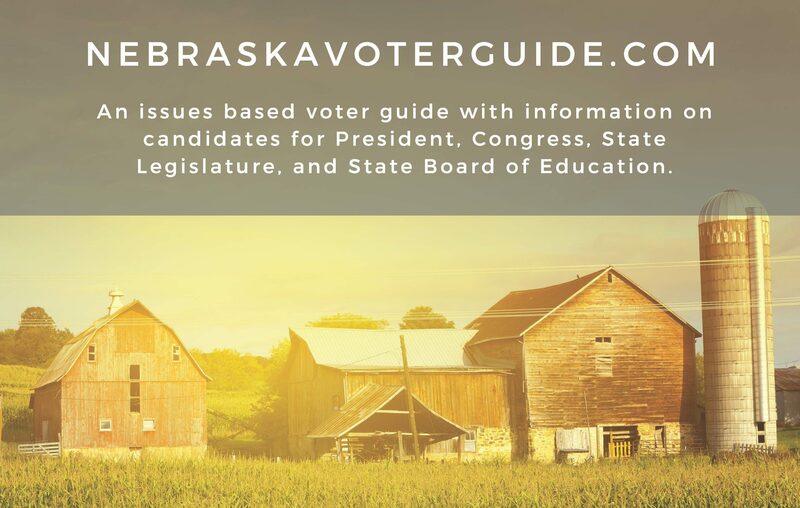 Visit NebraskaVoterGuide.com. 2) Share information at the church resource desk. Download, print and distribute this postcard to church members via a resource or information desk. Many churches these days have a pre-service power point. For your convenience, we’ve produced 3 slides that can easily be included. Click HERE to download. We place a very high value on the Presidential election – and rightfully so – but too often we forget about state and local races happening at the same time. If you’d like help accessing any of these resources, or if you don’t have print capabilities and would like NFA to mail you these resources contact us here.